When it comes to family holiday destinations, Queensland is a name that is often mentioned, reaping awards and recognition for it. That is enough reason for you to plan your next family holiday in this place. Among the many picturesque towns in Queensland, Palm Cove, touted as “North Queensland’s friendliest beach”, is one of the places you must visit with your family. This village has everything, from the perfect tropical weather to the great seaside and rainforest sceneries, and the wide variety of activities that you and your family can all enjoy together. If you are wondering when the best time to come to Palm Cove is, you can come here anytime since the tropical climate is warm year-round. Your trip to Palm Cove will give you a chance to visit and enjoy the many adventures in the Great Barrier Reef, see the crocodiles, koalas, and kangaroos, laze around on the sandy beaches beneath the palm trees, and even go on a scenic helicopter ride with the kids. Helicopter tour. Kids may not want to go snorkeling or scuba diving, so why not bring them on a scenic helicopter tour instead? You can check out the view of the Great Barrier Reef from up in the sky together. Hot air balloon ride. You can head to Cairns for a hot air balloon tour. For best results, go with your family just in time for the sunrise or sunset to get spectacular views of the horizon. Shopping and dining. There are many parts of town that you can check out for food and shopping options. Williams Esplanade is a spot that will have you wandering for hours and you still won’t be able to get enough of its offerings of food, drinks, and shopping. The place also has art galleries you can check out while you’re at it. Spend the day at a spa. How about some pampering for the whole family? Palm Cove is dubbed as the “spa capital of Australia”, so be sure to experience why it got that nickname. Booking accommodations for a group is not easy, and of course, you'd want your family to have a cosy and comfortable place to call their "home" during their Palm Cove holiday. 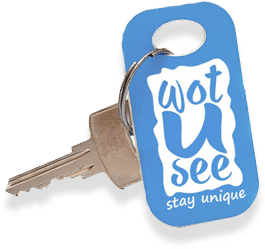 With the help of WotUSee, you can find great accommodation deals for your family at the best and most affordable rates. Finding affordable accommodation in Palm Cove for your whole family should not be so difficult. Let us know what you need and let us help you out, so all you’ll have to do once you arrive in Palm Cove is to start enjoying your precious family time. Talk to us about your family vacation and let us save you some money without compromising on comfort or security of every member of your family during the trip.